Governor Jerry Brown signed Assembly Bill 390, authored by Assemblymember Miguel Santiago (D-Los Angeles), to protect pedestrians by what one lawmaker claimed was an "outdated state crossing signal law that has resulted in people on foot being unfairly punished and financially overburdened." 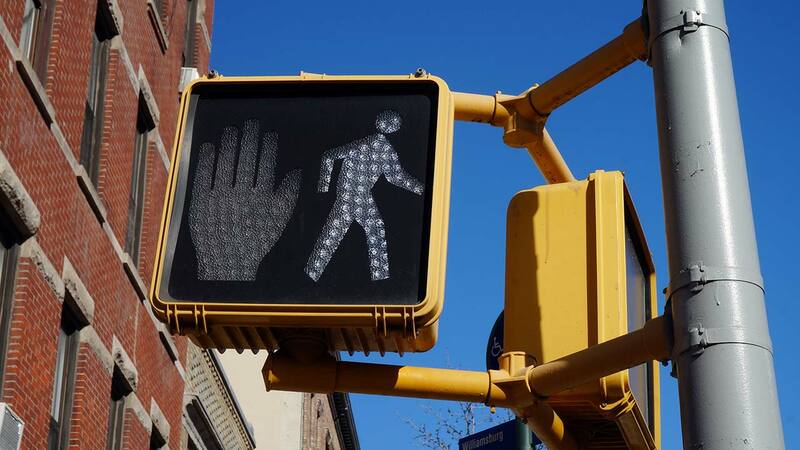 According to an analysis by the State Assembly, the bill "Authorizes pedestrians to enter a crosswalk when the countdown symbol is displayed provided the crossing is completed before the countdown ends." So, in other words, cross the street before the countdown reaches zero. How expensive is the current jaywalking ticket? The Senate Rules Committee says existing law authorizes a base fine of $25 for entering a crosswalk when the flashing upraised hand and countdown timer are displayed, the actual total cost of a ticket can run as high as $250 due to additional surcharges, penalties, and assessments. Before the bill passed the State Legislature, the California Highway Patrol argued in opposition to it. In writing the CHP said, "Clear and consistent standards, rather than individual judgment, should guide how pedestrians use roadways when they are likely to interact with motor vehicles." CHP points to a steady annual increase in pedestrian collisions in intersections between 2013 and 2016, from 5,819 to 6,757. In addition, pedestrians have been found at fault ? meaning they were in the crosswalk in disobedience of the signal ? in the majority of pedestrian-related collisions. CHP states that complying with existing signal requirements ensures the safest environment for pedestrians." Despite the CHP's opposition, the bill passed the State Assembly on a 79-0 vote. It also passed unanimously in the State Senate on a 40-0 vote. The law officially takes effect on January 1, 2018.